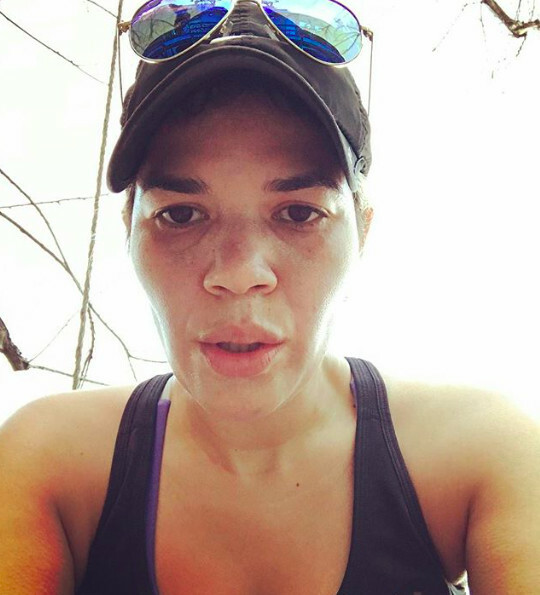 Not only is Ferrera willing to show us a selfie in her no makeup, post-workout glory, she also wrote, "First run of 2017. When life derails your best intentions, just get back to work! Ain't nobody got time to feel bad about it! #sidecramps #tightknees #workingthroughit #11weekstillTriathlon."